Of all the classic Florida death metal bands Monstrosity for some reason never quite rose to the level of prominence and visibility as their peers in Cannibal Corpse, Deicide, Malevolent Creation, Morbid Angel, and Obituary. 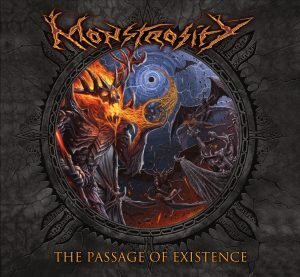 Up until 2007 Monstrosity was a reliable second-tier with a healthy work ethic and a respectable measure of quality even though they weren’t as prolific in terms of releases as some of their more popular contemporaries. 2007’s “Spiritual Apocalypse” heralded a new era for Monstrosity and rejuvenated their robust death metal with a progressive, more melodic slant and drastically improved production values. In 2012 the live DVD “Live Apocalypse” was released to little fanfare and even littler press. Then… nothing happened. For 11 years the world waited with bated breath for Monstrosity to finally claim their rightful place among the celebrated elite in the genre’s hallowed upper echelons. Except nothing really happened outside of the surfacing of the occassional rehearsal video. Then suddenly “The Passage Of Existence” was announced. Apparently forever relegated to second-tier status Monstrosity once again proves that they’re still better than everyone else. “The Passage Of Existence” is a refinement of the more progressive direction that “Spiritual Apocalypse” introduced and it largely consists of the same musicians. The closest equal to “The Passage Of Existence” is Death’s landmark epic “Symbolic”. Indeed. In the 11 year layoff in between albums Lee Harrison and his companions have honed, fine-tuned and perfected their assault from the ground up. 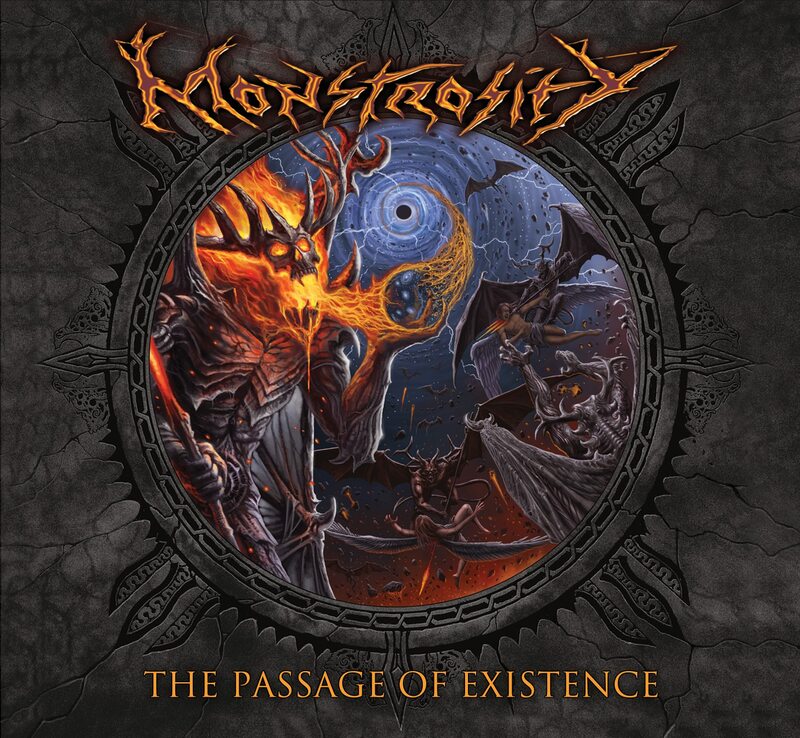 “The Passage Of Existence” sounds unmistakably like Monstrosity only do they now sound as highly stylized, deliberately paced, and as melodic and neoclassical as they have ever been. It might not be as outright percussive as, say, “Imperial Doom” or “Millennium” but it combines the technical showmanship of “Rise to Power” with the subtlely progressive – and more melodic inclinations from “Spiritual Apocalypse”. “The Passage Of Existence” reveals its intricacies in playing and composition gradually. It banks far more on control, precision and restraint than it does on engrossing the listener on initial discovery. In other words, it is a grower of an album that reveals a multitude of details and layers only on repeated listens. As heavy as Morbid Angel sounded on “Kingdoms Disdained” Monstrosity has actually eclipsed them years ago in terms of songwriting and performance. It’s almost criminal how underappreciated Monstrosity still is even after nearly 30 years. 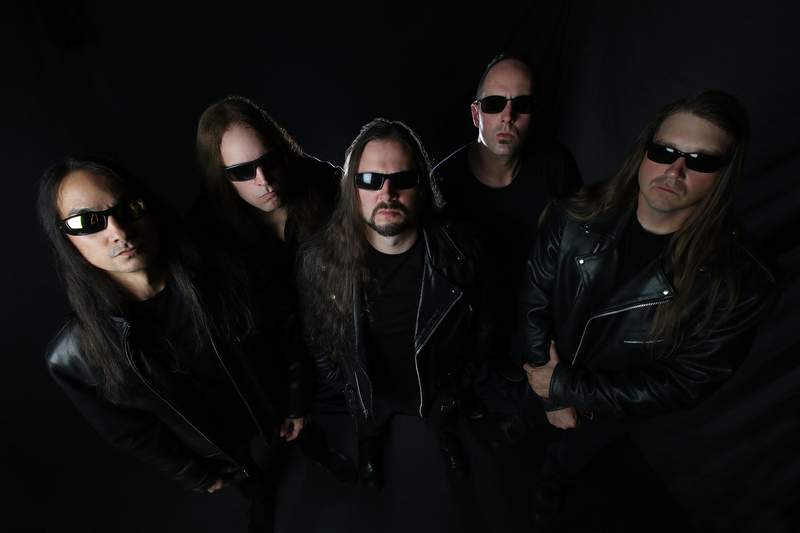 Carried over from “Spiritual Apocalypse” are frontman Mike Hrubovcak (who will have a second release out in 2018 with Hypoxia’s second offering “Abhorrent Decimation” on Ultimate Massacre Productions), bass guitarist Mike Poggione, lead guitarist duo Mark English (who also figured into the surprisingly decent “Overtures Of Blasphemy” from Deicide) and relatively-new Matt Barnes and founder/drummer Lee Harrison. Spanning 12 tracks and about an hour’s worth of music some of the material for “The Passage Of Existence” was written as early as 2009 and others were premiered as bare-bones rehearsal videos in 2013 (‘Solar Vacuum’, ‘Dark Matter Invocation’). Where “The Passage Of Existence” bears the most similarities to Death’s “Symbolic” is that the pace is far lower than in the past, there’s an advanced sense of melodicism that runs through out and all the songs are elegantly constructed compositions with extended sections of neoclassical soloing and some of the best drumming one is likely to hear. The spirit and mentality of Chuck Schuldiner was never more present than it is on here. Hopefully “The Passage Of Existence” will herald a new era of productivity and visibility for Monstrosity, whose modest body of work should speak for itself by now. “The Passage Of Existence” is erroneously dubbed a comeback by some less discerning critics but that couldn’t be further from the truth. Monstrosity might have been existing on the periphery in the decade-plus since “Spiritual Apocalypse” but they always remained active. While “The Passage Of Existence” is consistently strong through out and there aren’t any notable lapses in quality it does lack something in way of a signature song. In fact “The Passage Of Existence” is so stylistically consistent that it’s sometimes hard to tell where one song ends and another one begins. There’s so much happening in each and every song that it’s sometimes hard to keep track of. Everybody gets their moment in the limelight, whether it’s Lee Harrison’s always versatile and acrobatic drumming, Mike Poggione’s flowing funky bass licks that support the guitars as much as they solo on their own or the exquisite leads and beautifully laid-out solos from Mark English and Matt Barnes. Mike Hrubovcak is pretty much himself and his vocals haven’t changed much from the bygone times of “The Burning Passion” from his erstwhile unit Divine Rapture. The fantastic artwork from Timbul Cahyono of bvllmetalart is in line with past efforts and reminiscent of Atheist's "Elements". It probably is the most accomplished art Monstrosity has had to date. The production is similar to that from “Spiritual Apocalypse” except that it is far cleaner sounding. Overall it combines the weight of “In Dark Purity” with the clarity of “Rise to Power”.